n intervertebral disc is a specialized joint that sits between the vertebral bodies that make up our spine. Inside each disc is a soft, pliable material known as the nucleus pulposus. This material, which has the consistency of crabmeat, allows the disc to act like a shock absorber as we walk, run, or jump. On the outside of the disc is a tough, fibrinious rind known as the annulus, which encloses and contains the softer pulposus. Because discs are joints, they are prone to the same kinds of wear and tear breakdown as other joints in body, such as knees and hips. 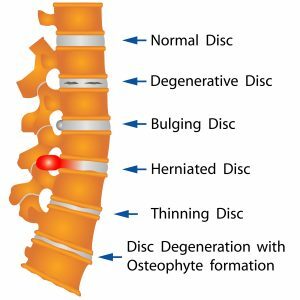 The inside of a disc can dry up and shrink, causing the whole disc to collapse, this is known as degenerative disc disease. Also the annulus can tear and pop out causing a herniated disc and a pinched nerve, thus causing radiculopathy. 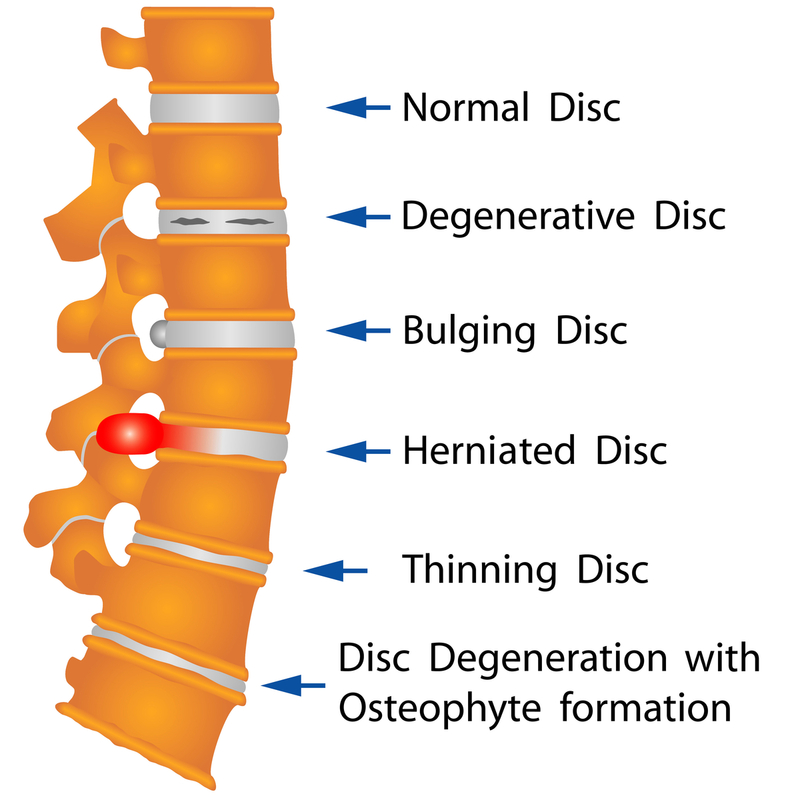 Finally, the whole disc can deform under pressure (bulging disc), causing a stretching pain felt in the spine. Though there are many types of disc disorders, not all disorders cause symptoms of pain. North Jersey Spine Group (NJSG) specializes in alleviating the cause of neck and back pain. Offering conservative and surgical approaches, NJSG tailors each treatment plan to each individual’s medical condition. The board-certified neurosurgeons, also spine surgeons, and complete non-surgical team of physiatrists, pain management physicians, and physical therapists at NJSG, collaboratively diagnose and treat all disc disorders. With multiple offices spanning Hudson County to Bergen County including surrounding towns of Ridgewood, Hackensack, and Saddle River, NJ, patients are welcome to contact the award-winning team at NJSG today.